Everyone owns files whose information must be kept secret from prying eyes, but few are aware of how to protect them. Most computers provide users the ability to encrypt files, which is done through an algorithm that scrambles the data. The risks of not encrypting digital files far outweigh time and effort it requires to do so. Computer owners don't even need to visit a computer repair expert. With just a few mouse clicks, anyone can add a basic level of security to their most sensitive files. 1) Right-click the file or folder you would like to encrypt and select "Properties"
3) Check the "Encrypt contents to secure data" box and click "OK"
Files can be decrypted by following the same steps. 4) Choose a password and verify the password, then click "OK"
Computer encryption programs, such as Folder Lock and SensiGuard, have received favorable reviews from both consumers industry experts. They generally cost $30-$50. Depending on the program, users can encrypt files, folders and even entire disk drives. Software is generally preferred if multiple users are encrypting data and exchanging information, which often occurs in a workplace setting. 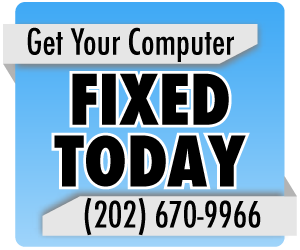 If users are not certain what encryption method is best for them, they should contact a Maryland computer repair expert that can guide them to the best solution for protecting their information. Is Google+ the new Facebook?